Home > When a customer is conned by a fraudster & in an out of character move sends significant sums of money overseas, does a bank have any AML-CFT Act responsibilities? In what's unfortunately an all too familiar scenario it started with a cold call. Mr X, who interest.co.nz has agreed not to name, received a phone call from a very professional sounding individual touting investment opportunities. Mr X made an initial US$5,000 investment in what he thought were companies listed on the US Nasdaq share market. And as is usually the case in these scenarios, things initially appeared to be going well. Mr X was able to go online and keep an eye on his portfolio via a very professional looking website. Ultimately Mr X sent more than $230,000 overseas to, he thought, be invested in Nasdaq companies. Mr X didn't tell his wife and family and viewed the investment as a business project. Mr X is an ASB customer and had a business development and relationship manager. Mr X made the overseas payments via a business savings account he set up to which he transferred money from another business account and from a family trust account. He had never transacted overseas before and ultimately made nine payments between May and October last year to what were apparently bank accounts in Malaysia and Japan. The companies Mr X invested through were DCS Wealth Management , which claims to be based in Japan, and Bridge Capital Advisors, which claims to be based in Malaysia and has subsequently been the subject of a Financial Markets Authority warning , following an Australian Securities and Investments Commission warning last October , not long before Mr X realised something was wrong. He realised something was amiss when he was asked to pay withholding tax for the US Internal Revenue Service, and around the same his wife, Mrs X, who interest.co.nz has also agreed not to name, found out what had been going on and hit the roof. Realising Mr X was the victim of fraud, the Xs approached ASB last November. The initial response of their business development and relationship manager was "everyone makes mistakes." Working with ASB, which contacted the recipient banks, the Xs managed to claw back about $30,000. As the Xs delved into what had happened, they were frustrated with an apparent lack of urgency on ASB's behalf, and frustrated at the role, or lack of a role, their business development and relationship manager had played. With the assistance of an Anti-Money Laundering and Countering Financing of Terrorism Act (AML/CFT Act) compliance specialist, the Xs also started raising questions about ASB's responsibilities under the AML/CFT Act. Ultimately ASB offered the Xs $500 compensation, with a customer care manager saying that whilst ASB had not contributed to their loss, there were gaps in its process that contributed to their frustration. ASB told the Xs Mr X's transactions were not necessarily suspicious or unusual for a business account. "These were completed by an authorised signatory in accordance with the mandate and all security requirements to process the transactions were satisfied," ASB said. "In addition we note that disclosure of a suspicious transaction report or any information that discloses the existence of a suspicious transaction report to anyone other than the Police is expressly prohibited by the AML/CFT Act. This means the Bank could not disclose any information concerning a suspicious transaction report to a customer," ASB said. "Based on the information available to us, there does not appear to be any indicators that the transactions in question related to either money laundering or the financing of terrorism." The Xs, however, weren't satisfied and turned to the Banking Ombudsman. They were clear that the transactions involved in the investment fraud were unusually large and were to destinations Mr X had never sent funds to previously. They argue that under Section 31 of the AML/CFT Act a reporting entity, such as ASB, is expected to conduct ongoing customer due diligence and account monitoring. And they note that under Section 57 of the AML/CFT Act reporting entities are required to put an AML/CFT programme in place. Among other things this should include procedures and controls for unusual patterns of transactions that have no apparent economic or visible lawful purpose, and any other activity that the reporting entity regards as being particularly likely by its nature to be related to money laundering or the financing of terrorism. They wonder if ASB should have been concerned that Mr X could have been coerced or threatened. And under the police AML/CFT Act suspicious transaction guidelines point out that, as a general rule, a suspicious transaction will often be one that's inconsistent with a client's known activities and profile, or with the normal business expected for that type of client. It's not clear what the money defrauded from Mr X was used for by the fraudsters. One possibility is the funding of terrorism. A police response to an Official Information Act (OIA) request from Mr X says they don't hold any records in regards to suspicious banking activities involving Mr X or his business. Thus it appears ASB didn't file any suspicious transaction reports. Their complaint to the Banking Ombudsman has resulted in the Xs being offered $1,500 compensation in total, with the Ombudsman proposing $1,000 because ASB failed to act in a timely manner to recover their money. "We found that the bank failed to act in a timely manner to recover the funds. These delays did not cause you any financial loss as unfortunately the funds were irrecoverable when you notified the bank about the fraud. However, we have no doubt the bank's actions exacerbated an extremely stressful situation. We have proposed compensation of $1,000 to recognise the distress caused by the recovery delays," Banking Ombudsman Nicola Sladden wrote to the Xs. "We also accept that the bank could have provided you with better service when you raised concerns about the transactions, and the bank's proposed compensation of $500 is adequate to recognise this." But did ASB do all it should under its AML/CFT Act responsibilities in Mr X's case? To get some clarity on this interest.co.nz spoke to two leading AML/CFT Act lawyers. Unfortunately for the Xs both barristers, Fiona Hall and Gary Hughes, don't believe the Xs have grounds for complaint about ASB's actions under the AML/CFT Act. "The legislation isn't there to protect the consumer, that's not the purpose of this legislation. The purpose of this legislation is to detect and deter potential money laundering and so its focus is on requiring businesses like banks to collect and report information for, ultimately, examination and use by the police and other government agencies," said Hall. If ASB thought this was suspicious activity the bank would have been reporting its own customer, she added. "I don't see how this legislation [the AML/CFT Act] gives them [the Xs] any redress," said Hall. "I think where the customer is missing the point is that any suspicion raised would have been in relation to their activity, not about the other end because they [the bank] wouldn’t have oversight of the other end, a non-customer. So what they would've been saying is 'our customer is behaving suspiciously and we're going to report him.' As I understand it the customer isn’t disputing they authorised the transactions. So how thrilled would they have been if they'd discovered that the bank had reported what they did as suspicious?" Hall added. Hughes agrees that in the X's case any ASB report of suspicious activity would be about Mr X. "They'd just be saying 'this is unusual, it's out of profile, we don't know what to make of it, but potentially Mr X is importing some illicit substance from Malaysia and has to pay his supplier or dealer there'," said Hughes. "Because he [Mr X] has been sucked in by a scam artist, he's initiating the transaction, he's making them [the transactions] voluntarily." "The legal bar to showing that the banks owe a duty to third parties taken in by scam artists is quite high unfortunately in civil courts, and I don't think the additional information your correspondent has got here about the AML law would make this case any stronger," Hughes said. "In fact it probably has that additional difficulty in that you've got the client convinced that they're dealing with a real person. If the bank had rung them and said 'this looks unusual sir, do you know what you're doing?' He probably would have said 'yeah, of course I do, go ahead, make the transaction. That's me, it's not an imposter or somebody impersonating me. I authorise that transaction, please do it.' Because that's what people, when they're under the relationship guise of these scam artists, ... they're usually so in the environment and relationship they want to believe it's true." The Xs have also taken their concerns to the Reserve Bank as ASB's AML/CFT Act supervisor, the Commission for Financial Capability, their MP National's Chris Penk, and made an OIA request to Prime Minister Jacinda Ardern about the Reserve Bank's AML/CFT Act responsibilities that has been referred to the Ministry of Justice (see more below). "We cannot comment on specific entities that we supervise, but we can assure you we will take action designed to ensure that ASB’s policies, procedures and controls for reporting of suspicious activities and transactions are effective and in compliance with the law," a Reserve Bank spokesman told Mrs X. "The Reserve Bank is sorry to hear that your husband has been the unfortunate victim of a sophisticated financial scam and as a result suffered the financial loss of the magnitude you indicated. It is unfortunate that innocent New Zealanders are being targeted by criminals with the level of sophistication involved in some of these scams. We work alongside a range of government agencies, some of which seek to remind people of these risks and to help reduce the incidence of scams. In this regard, if you haven’t already, we advise you to review the advice available on the Ministry of Business, Innovation and Employment’s Consumer Protection website ." "Please also note that if you do not accept the decision of the Banking Ombudsman, redress against ASB can be sought through the courts," the Reserve Bank spokesman added. So where does all this leave Mr and Mrs X? They won't be accepting the $1,500 compensation from ASB recommended by the Banking Ombudsman, maintaining its interpretation of the AML/CFT Act displays a complete lack of understanding of the legislation. The Ombudsman said the transactions the Xs complained about don't fall within the purpose and scheme of the AML/CFT Act. According to Mrs X, they are no longer seeking personal redress. "I understand this is not a customer-protective legislation, but rather a regulatory one. Yet it seems to be failing in what it is actually meant to do which is to detect crime potentially connected to money laundering or the financing of terrorism. Without the frontline entities fulfilling their reporting duty how can this legislation possibly be effective?" Mrs X asks. "Of course the bank would have to report its own customer’s suspicious activities/transactions to the FIU [police financial intelligence unit], but then, having done so, that law enforcement authority would step in and investigate further and hopefully be able to trace and intercept the actual criminals, thereby not only curtailing the relevant criminal activity but also protecting further customers from becoming targets of such a crime in the future. How can this happen if nothing is reported in the first place and the criminals are left to continue unchecked?" "The FIU relies on information from reporting entities for it to be able to do its job. If the FIU is given no information from a reporting entity it cannot pursue criminal activity – hence these types of crime are flourishing," Mrs X added. "It would be the job of the FIU to investigate ‘the other end’ once the report about the customer’s transactions/activities was filed by the bank. Banks report, law enforcement investigates." In a sense Mrs X's frustrations with the AML/CFT Act mirror those of Ron Pol, whose PhD research released earlier this year suggests anti-money laundering rules are almost completely ineffective in disrupting the proceeds and funding of serious crime , with a box ticking, rather than an outcomes oriented approach, taken towards the AML/CFT Act. Below are the questions the Xs addressed to Ardern. *(Note, it may not be well known but it is illegal in New Zealand to sell financial products by cold call ). 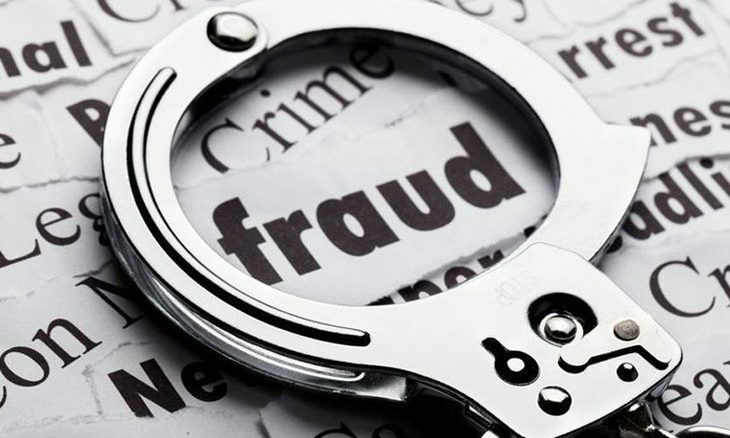 **See a video interview here  with Bronwyn Groot, fraud education manager at the Commission for Financial Capability, where she says anyone can fall victim at any time to fraud.